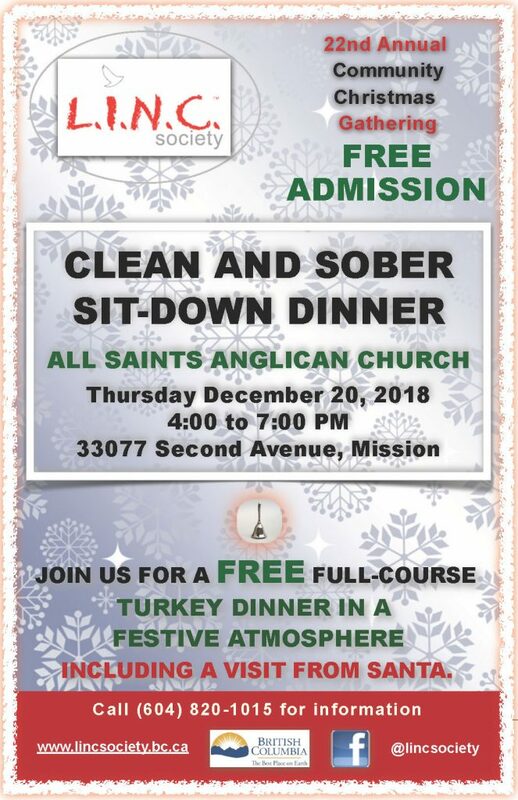 L.I.N.C.’s 22nd Annual Community Christmas Gathering happens Thursday, December 20, 2018, from 4:00 to 7:00 pm at All Saints Anglican Church, 33077 2nd Avenue in Mission. Join us for a FREE full-course turkey dinner in a festive atmosphere … INCLUDING a visit from Santa. Call 604-820-1015 for more information. 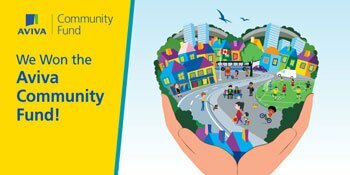 L.I.N.C.’s 20th Annual Community Christmas Gathering happens Thursday, December 15, 2016, from 4:00 to 7:00 pm at All Saints Anglican Church, 33077 2nd Avenue in Mission. Join us for a FREE full-course turkey dinners in a festive atmosphere … INCLUDING a visit from Santa. For information about Homicide Support Group meetings held at the M2/W2 office in Abbotsford, call 604 596 8866. The sixteenth annual L.I.N.C. 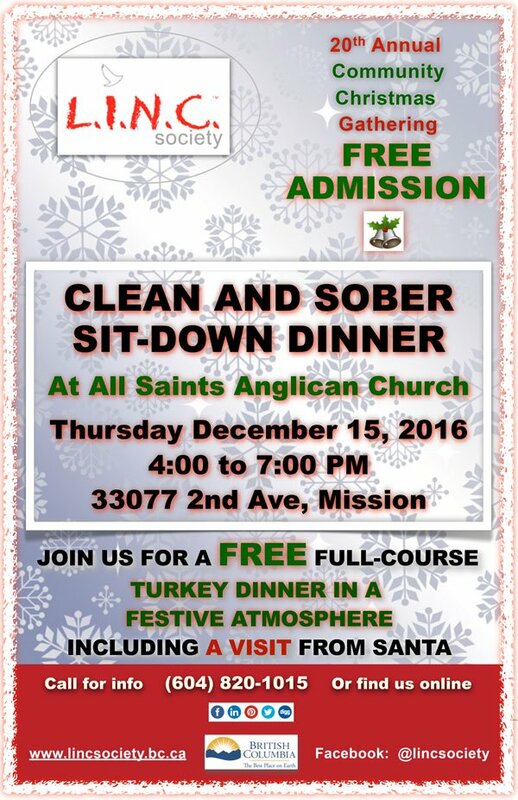 clean and sober free Christmas dinner will be held on December 13, 2012. This yearly event provides an opportunity for everyone to celebrate the season with his or her families and members of the L.I.N.C. team. The festivities will include a full turkey dinner with all the trimmings, Christmas carols and Santa Claus. The location is St. Andrew’s United Church, 7756 Grand Street Mission, British Columbia. The time is 4:00 to 8:00pm. Dinner is served at 5:00pm.